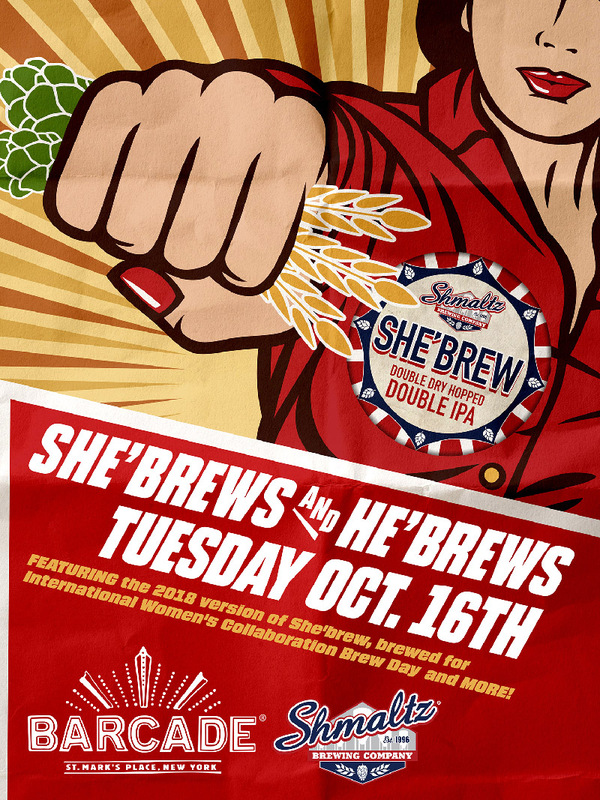 Join us Tuesday, October 16 for the launch of the 2018 version of Shmaltz She’brew, brewed for International Women’s Collaboration Brew Day, and also take part in our Breast Cancer Awareness fundraiser! There will be Shmaltz merchandise on sale with all proceeds being donated and a portion of all Shmaltz beer sales will also be donated by Barcade! We will be throwin’ down some fantastic brews, all while contributing to a great cause. Shmaltz Pastrami Pilsner – 5.5% – Pilsner style Lager brewed in collaboration with Barcade!